Somerhill Community, Homes for Sale, Move In Ready. Located just off Young Meadows Road, just off Vaughn Road across from Blount Cultural Park and only minutes from the interstate and bypass, Somerhill’s location can’t be beat. As you turn on Young Meadows Road you can just breath in the oxygen and view the splendor as you take a drive up this path past the tennis courts and long lines of beautifully landscaped and maintained foliage. 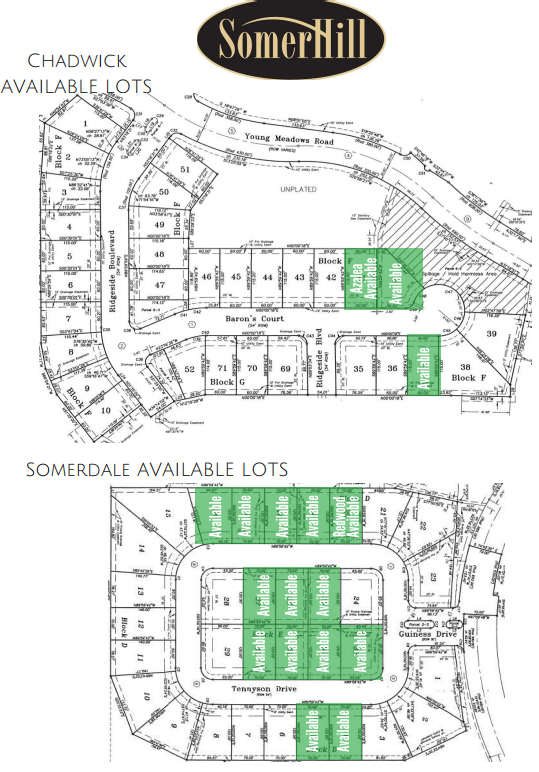 All of our homes in Somerhill have double car garages, brick and HardiePlank exterior, creating a beautiful community. Financing: $0 down! Payments start at $880! Builder pays $3000 towards closing costs! Directions: From I-85 N, take exit 4 for Perry Hill Road and turn right onto Perry Hill Road. Use left 2 lanes to turn left onto Vaughn Road. In 2 miles, turn right onto Young Meadows Road. At traffic circle, continue straight to stay on Young Meadows Road. Turn right onto Ridgeside Boulevard and turn left onto Barons Court.